The act of Googling oneself has become the digital age’s premiere guilty pleasure  an activity enjoyed by all and admitted by few. The phenomenon has even been the subject of scholarly research. Last year, a team of Swiss and Australian social scientists published a study concluding that the practice of self-Googling can partly be traced to a rise in narcissism in society but is also an attempt by people to identify and shape their personal online “brand.” The authors of the survey no doubt returned to their cubicles and Googled themselves to see if the study was posted online. The folks at Google are well aware that their site handles millions of vanity searches every day, and that users aren’t always thrilled about the results that pop up when they Google themselves. To give people a bit more control over search results, Google introduced a new feature this week it calls a “Google profile” that users can create so that a thumbnail of personal information appears at the bottom of U.S. name-query search pages. Once users create a Google profile, their name, occupation, location , appears in a box on the first page of the search results for their name. Next to the thumbnail info, there’s a link to a full Google profile page that in many ways resembles a Facebook page. The similarity to Facebook is no accident. Google profiles are the search giant’s fiendishly clever attempt to turn your egosurfing pain into their gain. By giving users a modicum of control over the results that appear on a search for their name, Google hopes to establish a social network beachhead and take on wildly popular sites like Facebook and MySpace. Facebook users who otherwise couldn’t be bothered to set up a separate profile page on Google might find the idea appealing if it gives them some control over the Google search results for their name. And if you’re already using Gmail for email, Google Maps for directions, and Google’s Picasa for photo sharing, you may wind up spending more time with your Google profile than your Facebook or MySpace page. The Google profile lets you set up a personalized page where you can include links to your blog, Twitter feed or company website, plus share online photos and link to your other personal profiles on sites such as Facebook, MySpace, and LinkedIn. There’s room for a brief bio, along with a place to list your current interests, places you’ve lived and schools you’ve attended. There’s also a space that asks you to list your “superpower,” proof that the engineers at Google have a sense of humor. Or think they do. Like Facebook, your Google profile doesn’t display any private information unless you’ve explicitly added it. You can share info with friends and family, and control who sees what. There’s no Google profile feature that lets you “friend” another user  at least not yet. But there is a “Send a message” feature that lets anyone with a Google account email you without revealing your email address. Another feature called “My places” displays all the cities you’ve entered on your profile and your current location on a map. A Google map, of course. The more information you add to your profile, the higher your page is likely to be ranked on a Google search for your name and associated keywords, such as the name of your hometown, your job title, or where you work or go to school. 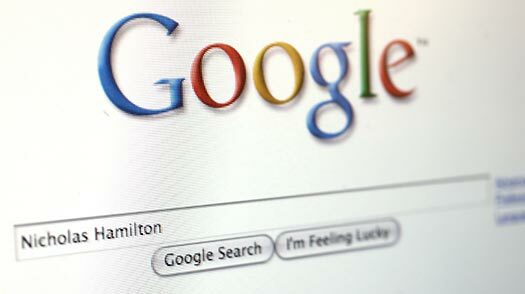 And the more richly detailed your Google profile is, the more Google knows about you. There’s no advertising attached to Google profiles, but in the future, the company could easily sell ads targeted to your personal details, much as they’ve already done on Gmail. These days, Big Brother isn’t just watching you  he wants to know your superpower and the name of your childhood pet. And he already knows you like to Google yourself, so don’t try to deny it.